SAN FRANCISCO, California, January 30, 2013 (ENS) – The United States has named the San Francisco Bay and Estuary as its 35th Wetland of International Importance under the Ramsar Convention, effective on World Wetlands Day, February 2. 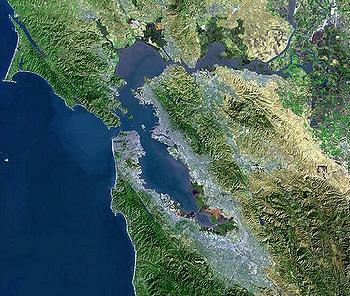 Covering 612 square miles, San Francisco Bay is the largest estuary on the U.S. Pacific Coast. It is recognized as one of North America’s most ecologically important estuaries, accounting for 77 percent of California’s remaining perennial estuarine wetlands. Surrounded by the Bay Area’s population of over seven million people, San Francisco Bay and Estuary provide ecological services such as flood protection, water quality maintenance, nutrient filtration and cycling, and carbon sequestration. The bay and estuary are inhabited by over 1,000 species of animals and birds, including endemic and endangered species. This watery expanse hosts more wintering shorebirds than any other estuary along the U.S. Pacific Coast south of Alaska and is recognized as a site of Hemispheric Importance by the Western Hemisphere Shorebird Reserve Network. Eighteen species of whales have been seen in the bay and estuary, including endangered blue whales, fin whales and sei whales and more abundant gray and humpback whales. Eleven dolphin and porpoise species frequent the bay. It is also important for over 130 species of resident and migratory marine, estuarine and anadromous fish species. Development pressures on remaining wetlands and adjacent uplands continue to threaten habitats not owned or managed for conservation. The site is a renowned international tourism destination. Parts of the site are within the UNESCO Golden Gate Biosphere Reserve, established in 1988, and it encompasses a number of U.S. National Wildlife Refuges and other protected areas. According to the U.S. EPA’s Toxic Release Inventory, the annual amount of toxic chemicals released into the waterways of the Bay-Delta estuary has not changed much since 2003. 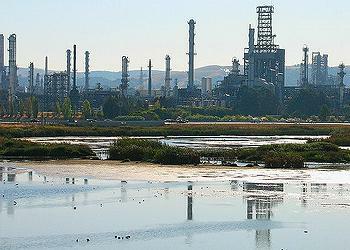 Large oil refineries located along San Francisco Bay shorelines are responsible for most of the pollution: ConocoPhillips in Rodeo, Valero in Benicia, Chevron in Richmond, and Tesoro and Shell Oil in Martinez. “The pollutants are primarily of nitrate compounds, which can cause excess growth of algae that chokes off oxygen needed by fish and other aquatic life,” writes San Francisco Baykeeper’s Ian Wren. Their new campaign is an effort to stop toxic runoff from leaving the 1,300 industrial facilities around the bay that are committed to controlling their runoff under a general permit issued by the state under the federal Clean Water Act. “There is a 95 percent violation rate, based on five years of electronically self-reported data between 2006-2010,” Self said. San Francisco Baykeeper pinpoints which facilities pose the greatest threat to the bay based on the number and magnitude of their violations and their proximity to environmentally sensitive areas. Staff and volunteers collect evidence of pollution and then reaches out to educate facilities as to what they need to do. “We’ve had really good success so far with this campaign,” Self said. One success story is that of BAE Systems San Francisco Ship Repair, the largest floating dry dock on the U.S. West Coast. The shipyard serves cruise liners from Alaska to Mexico, trans-Alaska pipeline tankers, foreign and domestic bulk carriers and container ships, military vessels and local bay traffic. On the worst sites, if regulators have not taken enforcement action, Self said Baykeeper “steps into a citizen enforcement role.” The organization has half a dozen cases now ongoing in federal court for violations of the 40-year-old Clean Water Act. 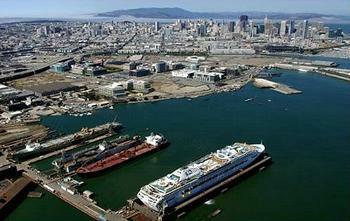 San Francisco Baykeeper is planning for sea-level rise due to climate change that is already happening in the Bay Area. San Francisco Bay Conservation and Development Commission’s plan requires that within the 100 feet inland from the shoreline that falls into the BCDC’s jurisdiction agencies and cities doing permitting and planning must take sea-level rise into account. “This keeps critical areas from being developed,” said Self. Click here to see all the U.S. Ramsar sites designated as Wetlands of International Importance since the United States ratified this treaty in 1987. 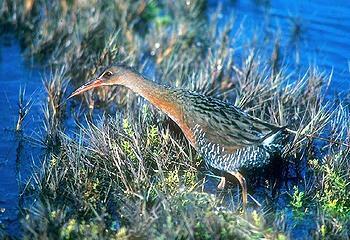 The Convention on Wetlands, signed in Ramsar, Iran in 1971, is an intergovernmental treaty that embodies the commitments of its 164 member countries to maintain the ecological character of their 2,083 Wetlands of International Importance and to plan for the “wise use,” or sustainable use, of all of the wetlands in their territories. Unlike the other global environmental conventions, Ramsar is not affiliated with the United Nations system of multilateral environmental agreements, but it works closely with the other MEAs and is a full partner among the “biodiversity-related cluster” of treaties and agreements.